Make sure you set a timer for 5 minutes when you first pop these in the oven. It’s easy to forget that you have to turn the oven down. Especially if you have rugrats pulling at your legs asking when dinner will be ready. Or the phone calls that inevitably come one after the other the entire time you’re trying to get said dinner on the table. How does everyone instinctively know the exact worst time to call? 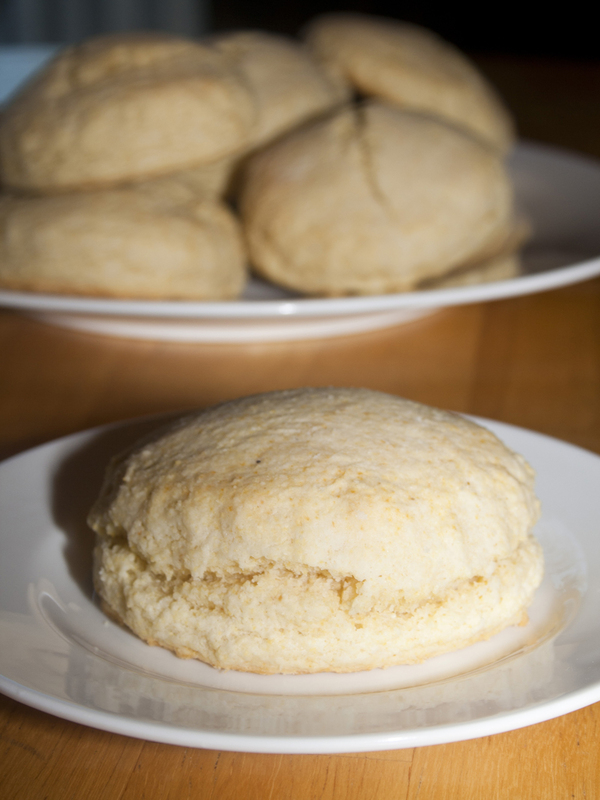 Enjoy these cornmeal biscuits with your favorite stew, soup or chili. They are delicious! Whisk the cornmeal, buttermilk and honey together in a large bowl and set aside. Add the dry ingredients to the bowl of a processor along with the butter pieces and pulse about 10 times until the mixture resembles a coarse meal. Add the buttermilk mixture and pulse just enough to bring the dough together. 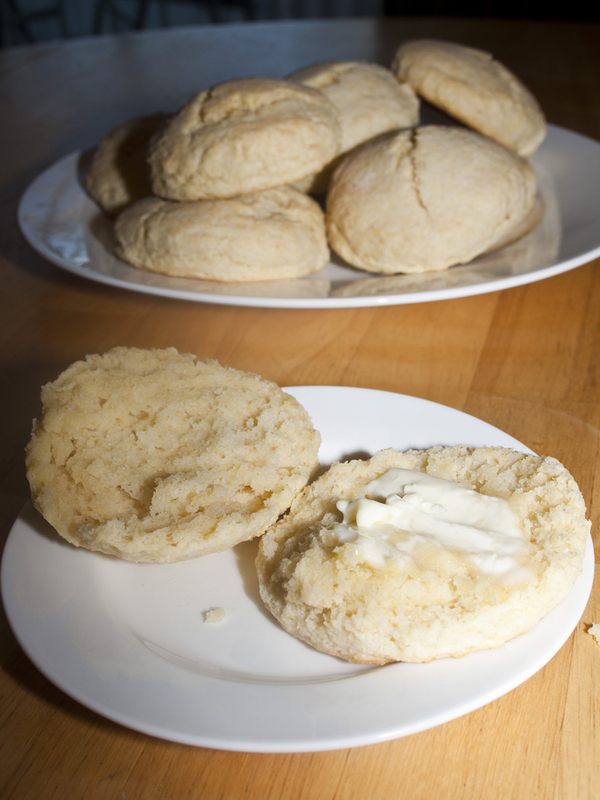 Turn out onto a floured board and knead about 10 times until the dough is workable. Add in extra flour if it’s too wet. 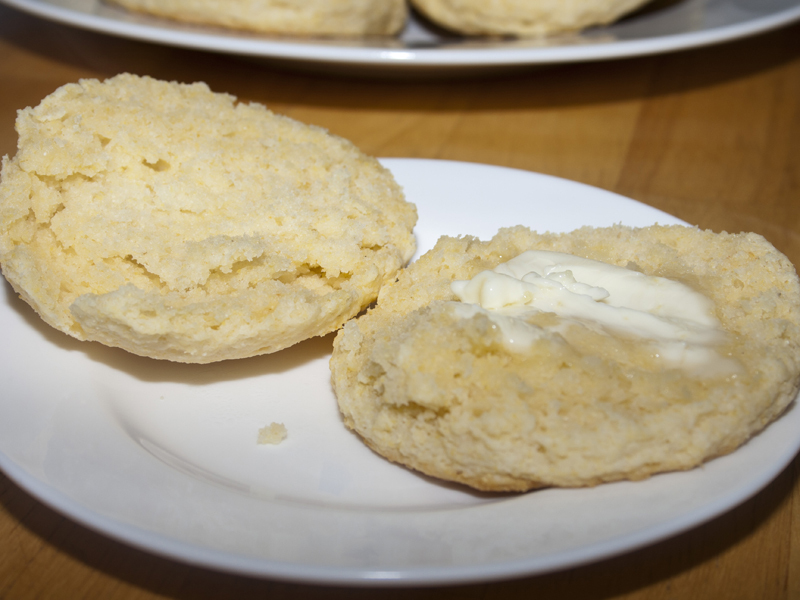 Pat into a 9 inch round and cut out about 8 biscuits with a 2 1/2 to 2 3/4 inch biscuit cutter. Bake for 5 minutes, until they just start to rise, and then turn down the heat to 400, and bake for another 8 to 10 minutes, until golden.